This bento box looks high end and sophisticated, but the price won’t break your budget. The modern, minimalist look is both stylish and functional and the leakproof, airtight design will keep your food fresh and your work space mess-free. This bento box will always look good on your desk, so you’ll never feel like you’re brown-bagging sad leftovers. The box is freezer, microwave, and dishwasher safe, so you can prepare foods in advance, tuck them in the freezers, and heat in the microwave before serving. The silicone sealed lids and ventilation caps reduce heating time. This includes two 20-ounce food containers with vented lids, chopsticks, and cutlery. It comes in either black or white. It also includes lunchbox notes so you can leave a message for your loved ones or use them as a reminder for yourself. Perfect for planning meals ahead of time, these freezer-safe containers let you pack multiple meals to tuck away for future use. Although these are inexpensive, they’re built to last over many freezer-microwave cycles – up to 30 uses each. Yet they’re inexpensive enough that if you lose one, it won’t break your budget. This includes 20 containers plus lids. The containers hold 36 ounces each. Not just for lunches, you can pack dinners for times when you want a quick meal when you get home or use them to send meals to friends who need a helping hand. These have three compartments to keep foods separate, and snug airtight lids for freezing or transportation. Cleaning is simple, since these are dishwasher safe. 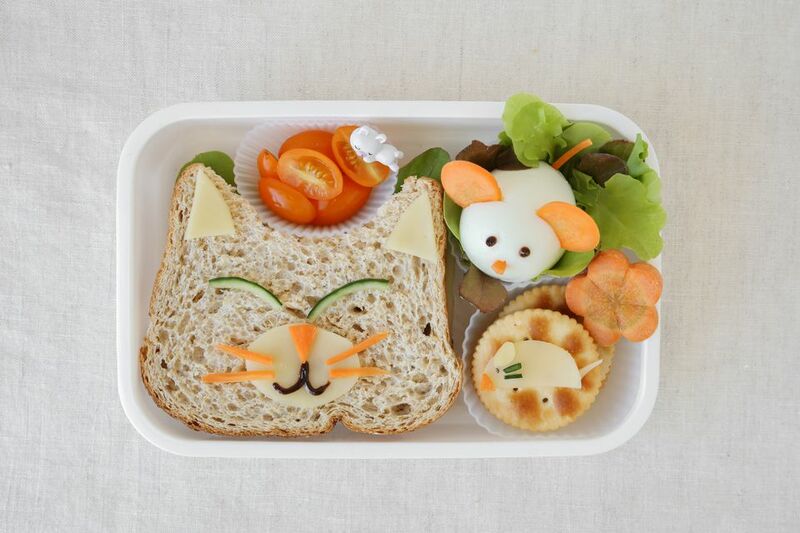 Kids will love this colorful bento box. It has five compartments that are portioned for a kid’s appetite​ and is designed for kids aged 3 to 7, but it would also make a great snack container for adults who want to control portions of goodies. The bento box has rubber-coated edges and internal hinges that help make it drop-proof and sturdy enough for the most active kids. The box is leakproof and has two kid-friendly latches that make it easy for small hands to open and close. The removable compartment tray is microwave safe and dishwasher safe, while the outer shell should be hand washed to preserve the seal. This includes a booklet with 30 kid-friendly recipes and meal ideas. It is also available in green or blue. Interested in reading more reviews? Take a look at our selection of the best bento boxes for kids. When plastic just isn’t sturdy enough, this stainless steel container will keep your lunch safe. The metal won’t stain, rust or retain odors, while the proprietary snug-lid design wraps over the top container for a tight, secure seal. This has three tiers to hold a variety of foods, and the design is perfect for larger appetites or for sharing. It has a bottom compartment that fits condiment trays or cups, a top compartment and an integrated tray for snacks, condiments, or utensils, along with the lid. The integrated locking clips are adjustable for the snuggest fit. This set of three bento containers lets you prepare lunches for the family, or plan several days ahead. The leakproof snap-locking lids keep foods fresh and spillproof. To help customize your lunches, this has one large and two small removable compartments, so you can use or remove containers so your food fits perfectly. Because of the airtight and leakproof silicone sealed lid, you can even put liquids in the containers with no worries about spilling. A textured edge on the bottom helps prevent sliding and makes these easer to grip. These hold 39 ounces and are microwave, freezer and dishwasher safe. Made from food-safe plastic, this bento box is designed with the original tradition in mind, so if your lunch is likely to include sushi or a lot of bits and pieces, this is the box for you. The two tiers are neatly stackable when full, then when you’re done eating you can place the upper container inside the lower one to save space. This includes a band to secure the containers and a lunch bag to carry them. The top container holds 280ml (about 9.5 ounces) and the bottom holds 360ml (about 12 ounces). This cannot be used in the microwave. It should be hand washed. It’s not always convenient to keep lunch in the refrigerator or to microwave a meal, so this bento box comes with an insulated bag to keep your salad cool or you spaghetti and meatballs warm. This has two separate containers that hold 17.9 ounces each, one of which is divided into two compartments, and it includes stainless steel cutlery and chopsticks. The containers are freezer and microwave safe, so you can prepare meals ahead of time and heat before eating​ if you prefer. They’re also dishwasher safe, for easy cleaning. The included insulated bag has a waterproof coated fabric and has a zipper for easy access. A handle makes it easy to carry. To keep foods cold for longer, there is room in the bag for ice packs (not included).